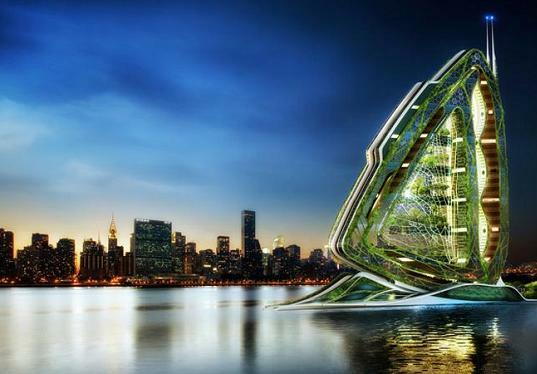 Giant Wing of Dragonfly On New York City | We worried about global warming and world food shortages, some of them bring a intelligent or concept on how to save world and make its green earth. 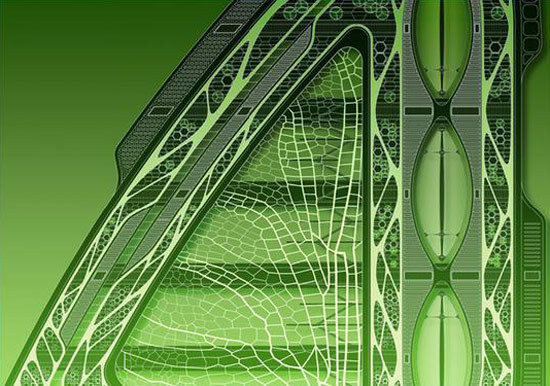 We should call them a Hero for saving our mother-nature.Belgian firm Vincent Callibeau Architects designed a vertical farm based on the wings of a dragonfly, which is a truly eco-friendly building, awesome in concept. 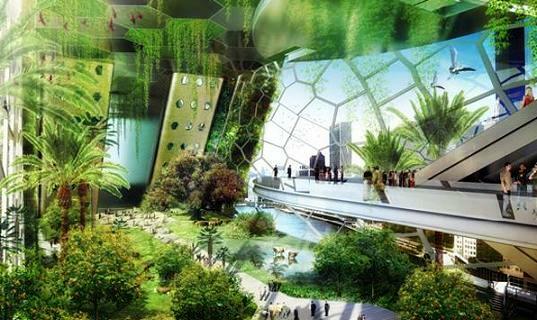 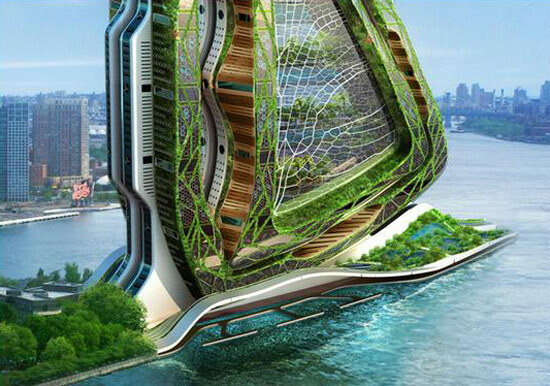 Its located along the east river at the south edge of Rooselvelt islandin New York City the tower will be, in essence, living organism being self-sufficient in water,energy and bio fertilizing. 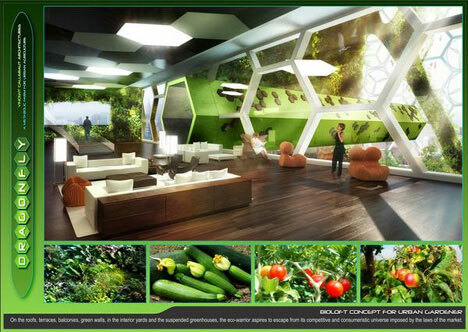 Comprising 132 floors and 600 mtrs tall, the Dragonflywill be able to accommodate 28 different agricultural fields for the production of fruit, vegetables, grains, meat and dairy.